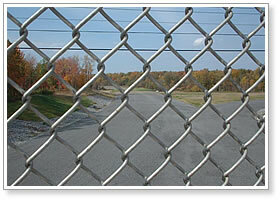 Chain link type wire fence fabrics can be made into fences and be used in various applications. 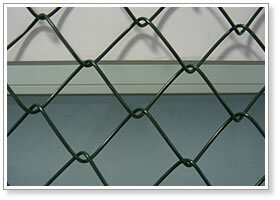 Chain Link Fence Fabrics can be galvanized mesh, plastic coated galvanized mesh or aluminum mesh. We offer chain link fabrics with two types of end: barbed wire or knuckled end. Typical opening type of chain link fabrics is diamond opening. Chain link fabric is typically sold in 50' rolls. We will cut rolls to exact size for local deliveries and pick-ups only. Chain link is easily cut to size by removing one link. 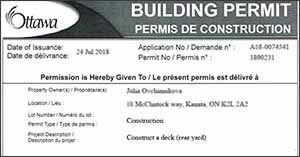 Uses: Diamond mesh is used as fencing for sports field, river banks, construction and residence, also animal fencing.